Fundamental shifts in other major sectors of the economy show that what is happening in banking is part of a global sea change that will require many to re-evaluate the way they think about their career and future employment. History shows us that jobs in every sector change over time. Science, technology and human behaviour all play a part in altering trades and professions to the point where first they become marginalised, then they disappear altogether. 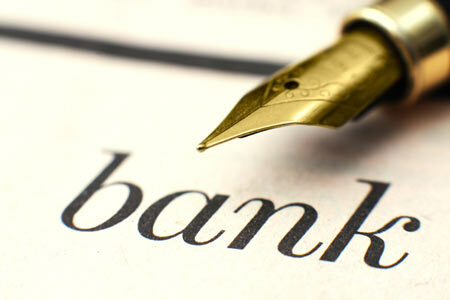 Banking, like any other industry, is not immune to such influences. Over the last five or six years, structural change has rocked the sector, resulting in many, many thousands of redundancies, which even now are still going on. When you work within a particular sector, it’s easy to see the world through the focus of one particular lens, and to believe that one day, somehow, things will return to normal, that what was before, will come again. However, it’s often useful to get a fresh perspective on things by looking outside your “bubble” to see what’s happening in other professions, like architecture for instance. Highly skilled and well trained, architects once did everything meticulously by hand at a drawing board. Then software came along to replace paper and pencil, and those who weren’t quick enough to make the transition to a computer-based model, were soon left behind. Now, despite the pickup in construction and the innovative application of new technologies, like using drones for aerial surveys, more and more architects are losing out as cheaper building systems do away with the need for bespoke services. Worse still, with many architects being forced out of larger firms by commercial pressure to cut costs, those setting up on their own face even tougher competition. Is architecture on the way to becoming a fringe profession? In the automotive sector, cars are now built by robots, not people. And the development of disruptive technologies will soon enable small start-ups to leapfrog established giants. The arrival of autonomous vehicles like Google’s self-driving car and others driverless vehicles is a game changer. It offers new mobility to many and heralds the advent of accident-free roads, with a consequent knock-on effect for the insurance industry. So change is happening everywhere fast, not just in banking. In every corner of the world of work, significant shifts are occurring right across the globe. MGI Research, part of the McKinsey group, forecasts that worldwide 114 million full-time knowledge workers could be replaced by smart machines, and in banking, demand for online services has already led to the demise of many counter staff. With the pace of change so rapid, we all need to rethink our ‘career’. No longer can we see it in terms of smooth linear progression, instead we need to think of it as a series of shorter ‘careersbursts’ that come to an end due to events and circumstances either in a particular industry or in the wider economy. Careers will become a series of multiple paths, intertwining, crossing and running in parallel, which we can jump between if we choose, as long as we have the flexibility, willingness and range of skills to do so. That could mean many more opportunities, and a potentially far more rewarding life, but only if you are suitably equipped. In fact, you need to start thinking of your career as a business, and be constantly on the look-out for ways to improve, revise and update your business model. So if the old ways aren’t the way forward, what is? Accept that change is inevitable. And that it’s largely out of your hands, at least at a micro level. However, that doesn’t mean you can’t prepare for what might happen and be ready to react when it does. Technology is here to stay. It’s changing and shaping the employment picture very quickly and will continue to do so across all sectors, reinventing the way you think about work and what it means. On-going learning is the norm. If you adopt an intransigent belief that things will return to the way they were, you won’t have the mental and emotional flexibility to ‘roll with the punches’ going forward. That’s why the continual updating of skills is so important, if you are to stay current, let alone ahead of the curve, as a useful and valuable employee, or in fact, employable at all. Invest in yourself. However don’t focus exclusively on the skills and knowledge that are needed right now, think a couple of steps ahead. That way you won’t be equipping yourself with an ‘education’ that’s out of date before you’ve begun, like so many youngsters going to university today. Stay alert to changes within and beyond your sector. The signs may be small at first, but momentum can build fast, suddenly reaching a tipping point, after which events can unfold quickly, so be prepared to make rapid decisions. Read widely to find out where change might occur next, and think deeply about how this could affect you and what your response might be. Know when it’s time to move on. If you see ‘the writing on the wall’, don’t expend too much time or effort trying to stay in a sector that is telling you it doesn’t want you. Understand and accept that at any time there will always be others, better equipped through circumstance, events or pure chance, to progress where you can’t. Often it makes sense to simply get out of the game altogether and try another. Give yourself choices by taking the lead on change. Self-employment is the future for many more than are aware of it yet. Think seriously about self-employment or setting up your own in business, even if right now you have no intention of making the leap. Over your banking career you’ll have acquired not just a good understanding of business, but also technical knowledge that you can put to good effect for your own benefit. It may be time to turn what you know into a business. Whatever you decide, in the constantly shifting world of work, the key is to make the switch while you’re still in charge. 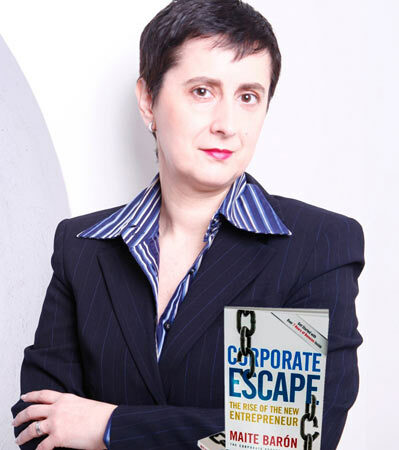 At The Corporate Escape, developing entrepreneurial leaders and preparing professionals for success in a future world of work is our passion. You can start to retake control of your career by downloading our free guide – ‘7.5 Strategies to Thrive in Your Career or Business’.And for more valuable resources on how to prepare your transition from employee to business owner, go to TheCorporateEscape.com.